August is when the Leo part of us is the star. The lunar cycle begins July 23 when the Sun and Moon rendezvous in Leo, peaking August 7th when the Sun in Leo is challenged by the Moon’s opposition in Aquarius. Leo requires adoration. Aquarius is the “freedom fighter,” the revolutionary, an inundator, and eccentric, requiring the ability to, literally, love everyone. Not everyone is a Leo or an Aquarian. But we all have both in our charts in varying degrees. Leo and Aquarius are both social. Leo doesn’t like to be alone, and Aquarius must have alone time. Leo craves attention, but Aquarius just gets attention, due to the unconventional demeaner. Leo is proud and wants love, respect and acceptance, and is therefore more conservative. Aquarius relishes being different, doesn’t want to fit in, and doesn’t obey rules. Remember, we have all the signs within us, in varying degrees, so, no one has all the characteristics of any one sign. It’s the mixture that makes us all so unique. In August, the energy of these two signs stand out. Both are two of the four fixed signs. Scorpio and Taurus are the other two. And with the fixed signs there is stubbornness. This year Mars, who has just moved into Leo will be part of that date between the Sun and Moon, adding energy to fire up our vitality and passion. The four days of the challenging First Quarter Square, when the Moon has moved into Scorpio (from July 30th – August 3rd), is the time when the need for changes comes up, possibly about our expectations of others, or our impact on them. 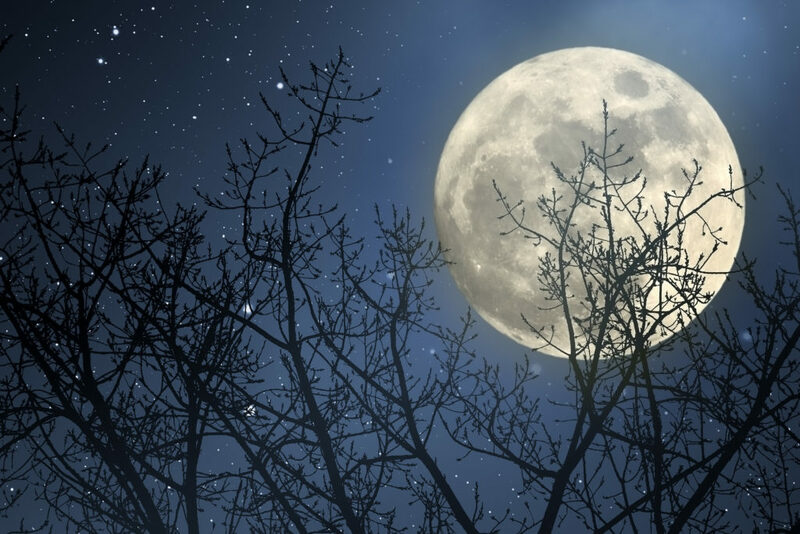 The Full Moon in Aquarius on the 7th is also a lunar eclipse, which is an extra potent Full Moon and offers an opportunity to make significant shifts in our lives. As an air element, this can make us aware of how we’re using our minds. It’s a good time to clear old beliefs and thought patterns that don’t support who we are, or want to be. This Leo/Aquarius opposition also highlights the relationships between individuals and the collective. At a lunar eclipse, events from the past come to completion. In this case, especially in the Aquarian arenas of friendships, groups, and community. Significant people also tend to come into or go out of our lives. This eclipse is an opening to free our minds, and to break through and see beyond the old perceptions that have limited our potential and kept us hiding out on the sidelines instead of shining our light. Another August event on the 4th is the third and final square between Jupiter and Pluto. It could be helpful to look back at what was happening during the first two squares, in November 2016 and March 2017. “Jupiter and Pluto can increase drive and ambition, inspiring us toward a major expansion that tests our faith and often requires deep change”. With Jupiter in Libra and Pluto in Capricorn, relationships and work, and the balance between, have been especially ripe for growth and transformation. We may see the results of our growth at this eclipse, and become aware of the need to shed yet another layer of our old selves. On August 12th, Mercury, planet of communication, goes into its retrograde period till September 5th. This is classically a time of confusion with directions and communication. Be sure that the other heard and understood what you thought you communicated and vice versa. And be sure to read and understand all the “fine print” with any contracts or commitments during this time. On August 21st, there is a rare 2nd consecutive New Moon in Leo, and a solar eclipse, referred to as the Great American Solar Eclipse, the first in 99 years that is visible across the continental US. Significant world events tend to erupt on or near an eclipse, whose influence can last up to a year. And the path of the eclipse is where the effects are likely to be most intense. Some may include Sacramento, San Francisco, Northern Oregon, Dallas, Houston, Omaha, Ohio, Florida. Also, the eclipse is at the last degree of Leo. So, people born on a cusp (a day or two before or after any of the signs change) may also experience changes or events. This is not to scare anyone. The events or changes may just as likely be beneficial as not. I would love to hear people’s experiences of this significant event. The Sun moves into Virgo on August 22nd for the Virgo month of September. I hope you all have a great August. It could be exciting.